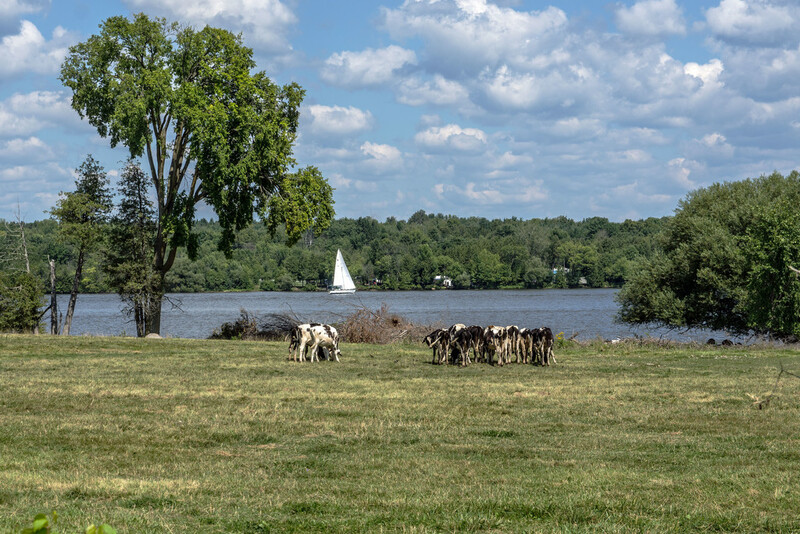 Drove along the Ottawa River on my way to Vankleek Hill Fair and this scene with the dairy cows out on pasture along the river with the sailboat in the background caught my eye. The fluffy white clouds just really added to the whole scene. A great capture of this wonderful scene. I must thank you, Joan, for your continued support and encouragement. I do not tell you often enough how much I appreciate it. Please know that if I do not reply to your comments, that I read each one and they make my day! I wish I could be as faithful with my commenting as you are with yours! Oh my, it is a beautiful view for sure. I wonder if the cows appreciate it as much as we do. Smile. The sailboat was a great touch (not that you really had a lot to do with it.). I saw that sailboat coming down the river so I hung around until it would be in the shot - really debated whether it would add to a 'landscape' shot or detract. Decided to keep it.